Late check out (after 10:00 AM and before 3:00 PM) may result in a fee. Whilst care has been taken by Zeederberg Corner to ensure the general safety of guests and their possessions whilst enjoying our accommodation, the owners do not accept any liability in the event that any injury, loss or damage to persons or property is experienced by a guest, his children and / or their visitors. It is the sole responsibility of the guest to ensure the safekeeping of his party, their assets and their general wellbeing. Should anything be unclear, the Guest undertakes to contact the manager for assistance at his earliest convenience. Should Zeederberg Corner suffer any loss or damage as a direct result of an act or omission by a guest or visitor of a guest, the guest may be held liable for full reimbursement of such loss or damage incurred and will be charged accordingly. Zeederberg Corner at all times reserves the full right of admission and accepts no liability for any loss or damage that may result from the legal and reasonable exercising of such rights. For the comfort of our guests, Zeederberg Corner is a strictly non smoking accommodation establishment. Smoking in any of our rooms will lead to a R1,750 penalty charge, which amount will be utilised to deep cleanse the room in an attempt to remove traces of smoking. We have taken great care in providing our guests with modern and clean rooms. 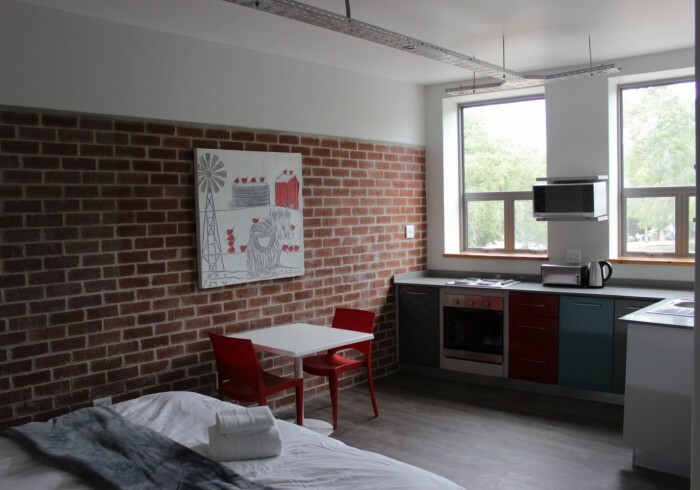 Any guests who abuse the rooms in any manner, leaving them in an unreasonably dirty or spoiled state, will be charged a R1,750 penalty charge which amount will be utilised to deep cleanse the room in an attempt to return it to its original condition. Minors are the sole responsibility of the parents, guardian(s) or the person or persons in whose care they are whilst at Zeederberg Corner or whilst using its facilities. We give our apartments a good clean after every check out. We even give your apartment a light clean every day. However, our apartments are self catering so we ask that you wash your own dishes. Guests who dash with dirty dishes my be charged a R170 dish washing fee after checkout. 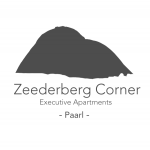 Zeederberg Corner Executive Apartments is conveniently situated in the heart of Paarl. Offering business travellers and tourists alike the perfect hassle-free self-catering accommodation solution. We are surrounded by shops, restaurants, vineyards and the old-world charm of picturesque Paarl. The apartments are classy and comfortable, furnished with a full bed, table and chair, dishes, towels, etc.